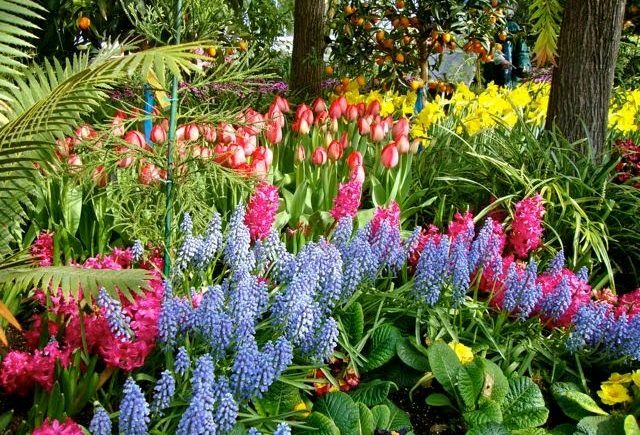 Our visit from the Galloping Gardener resulted in her great post on Allan Gardens – and inspired me to drop by myself in search of Toronto’s reluctant spring. And there it was, in all its splendour! In fact, it was gearing up for the Easter Show next weekend, when the lilies will be trumpeting their fragrance over a display at its peak. Be sure to visit early, as the spring-seekers are sure to be out in droves. An absolutely beautiful spring time in several climates I did love those barrel cacti. In the photo following the bride, are two fantastic rusted containers that I would love to duplicate in my garden! Speaking of brides, what a great place for a wedding; no weather woes. I got to see lots of flowers indoors at the Bsoton Flower Show, but I don't have a single crocus or snowdrop and I think the pussywillow is at least half dead. 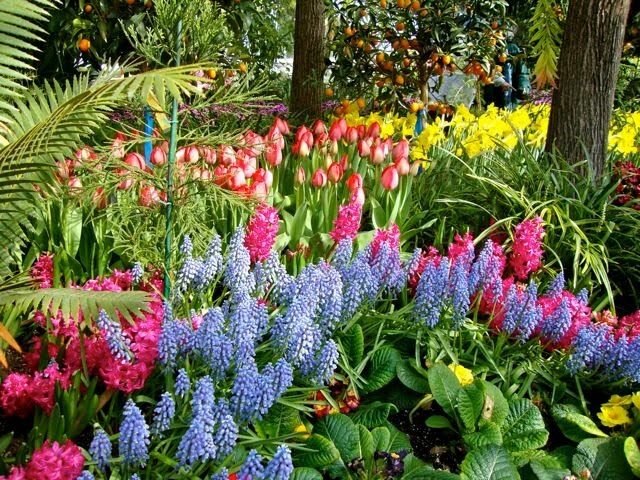 Now I know what I'm doing on Good Friday – going to Allan Gardens. Thanks for the preview. Your slideshow is a feast for flower hungry eyes. It sums up the glories of spring very well. Awesome. This is what my spring garden would look like if I had the budget and the staff. very nice! Spring is at least 3 weeks early in northern BC . I have a lot of bulbs coming up under what's left of the snow. What a beautiful place to visit. I love looking at all the beautiful combinations. Great photos! 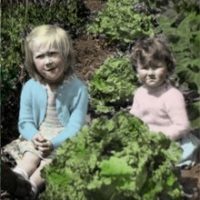 How I loved seeing the photo of you and Charlotte, and I can well imagine the warm, moist, fragrant atmosphere of Allan Gardens. Now you must come visit me! Those gardens are gorgeous! Thanks for sharing!